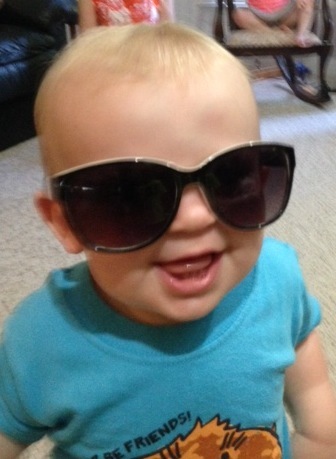 Bringing up the caboose… Sir Ethan! 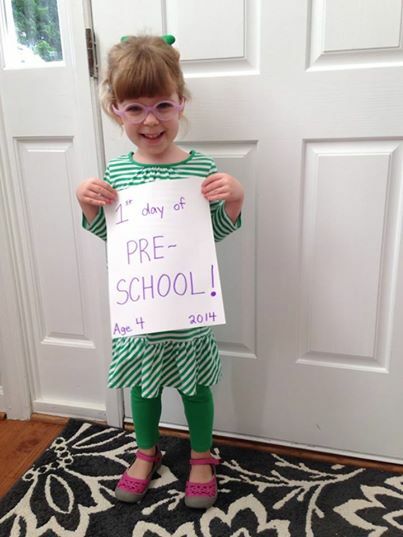 This post is our last installment introducing you to our precious kids. Last, but certainly not least, comes our 2 month old son, Ethan. 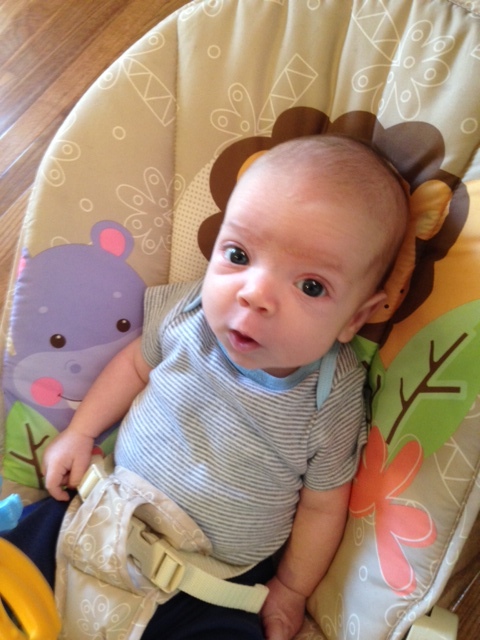 I like to call Ethan our “welcome surprise,” as he was born just 363 days after Silas. And indeed he arrived in a doubly surprising way, making his entrance into this world after only about 30 minutes of labor (!). When we went to the hospital, Caroline wasn’t sure whether or not she was having labor contractions. Thankfully, we played it on the safe side and went — if we had not, this guy may have been delivered by his father on the side of the road! Of all our children, Ethan has acquired the most nicknames in his short little life. I used to call him, “Terry,” since as a newborn he would scream like what I imagine a little baby pterodactyl would sound like when they’re hungry. But he’s outgrown that nickname since his pterodactyl scream has gone away. Around our house he is also affectionately known as “Rumps” (short for Rumpelstiltskin), since he is a great sleeper and will often take surprisingly long naps when we don’t expect him to. We call him “Long Toes” because he’s got some seriously lengthy lower digits. And lately I’ve been calling him “Big Ben,” as his eating and sleeping schedule seems to go like clockwork. Speaking of sleeping, we have been very grateful and pleasantly surprised at how well Ethan sleeps. 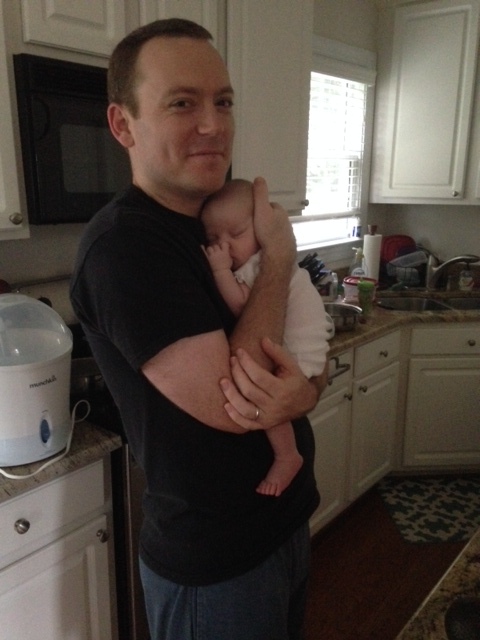 Lydia was an awesome sleeper, so in our first go-round we didn’t truly experience the major sleep deprivation that comes with having an infant — she was sleeping through the night most nights by the time she was 7 weeks. We were spoiled and we knew it. Silas, on the other hand, would not maintain much of a schedule at all and was waking up multiple times per night for months on end. We read the books and tried all the tricks, to no avail. It was at about 9 months or so that he finally started sleeping through the night — not as hard as some folks have it, I know, but taxing nevertheless. Ethan, however, much to our excitement, sleeps like his sister. He’s got a big appetite like Silas, but enjoys his zzz’s like Lydi. At two months of age, he sleeps through the night most nights (yes!). 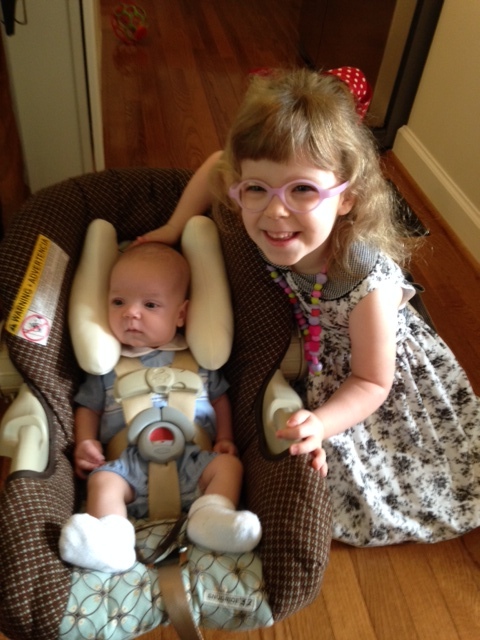 To the left is a pic of Lydia with Ethan all decked out for his first trip to church. 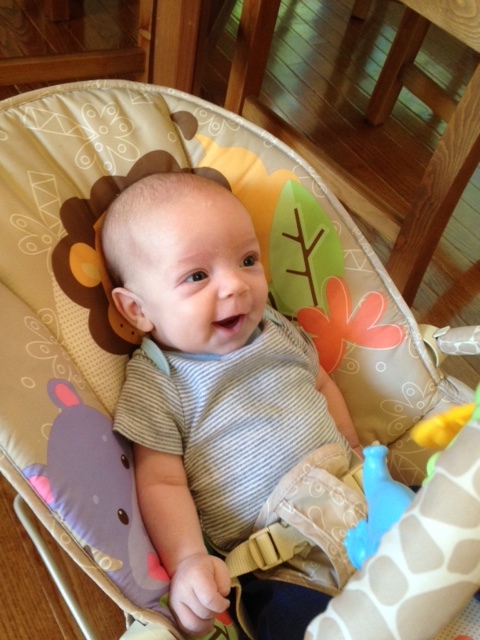 Ethan is a very easy-going and smiley baby. He loves watching his siblings do just about anything; he loves it when we talk to him (he’ll often make this kind of gurgly coo as a response to things we’ll say); and he especially loves it when we sing to him. He is very expressive and very fun to have around. When we found out last fall that we were expecting again, to say that we were shocked doesn’t quite capture it. Silas was only 4 months old at the time, and the prospect of adding another baby to the mix felt a bit overwhelming. We were happy and grateful for him, of course, but let’s be honest — we were also slightly intimidated and wondering how we were going to care for all these little people. But God knew exactly what we needed. We are so blessed to have this little guy in our family and can’t wait to see his little personality emerge more and more as he grows up. In a previous post I introduced our oldest child, Lydia. Now I’d like to introduce you to the young lad who, if we lived in biblical times, would inherit a double portion of my estate: Silas Matthew! Silas was born in Brisbane, Australia, while I was teaching at Queensland Theological College, so we like to call him the “honorary Aussie” of our family. As of this post he is 14 months old, and nothing short of tons of fun. Having been born down under, this boy has already enjoyed the scenic beaches of the Sunshine Coast of Queensland, traversed the beautiful mountain roads of the south island of New Zealand (picture Lord of the Rings landscape, literally! ), flown a trans-Pacific flight, and lived at four different addresses. And as you can see from the picture to the left, he’s done it all while remaining cool as a cucumber. Being our first boy, Silas has successfully trained us to be on the lookout at all times, as he has a special knack for finding creative ways to get into anything and everything that a toddler probably should not get into. For example, with Lydia we were able to protect her from wall outlets by simply plugging in the child protector plugs. Not so with the man child… his skill at removing those has necessitated us replacing the outlets in our playroom with blank plates. This will work, I’m sure, until he figures out how to work a screwdriver. As you can see from the pic to the right, he also enjoys raiding my bookcases whenever he gets into my office. 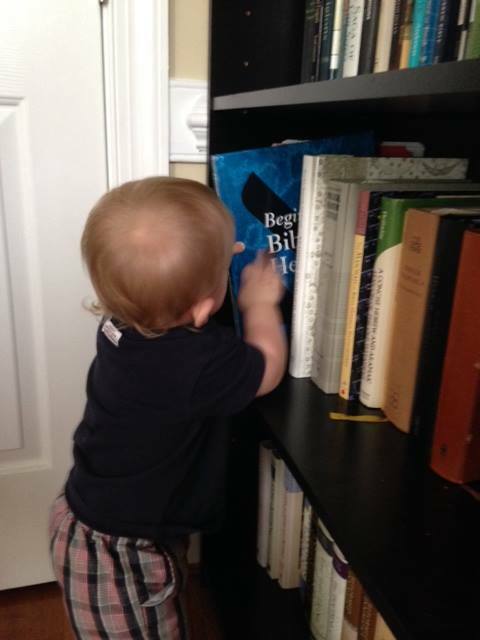 Much to the joy of his Old Testament professor father, he tends to go right for the big blue Hebrew grammar book — a budding exegete! We also call Silas the family clown, as he loves to make people laugh. He has the distinct ability to grin in such a way that he wrinkles his little button nose and absolutely melts his Mama’s heart — Caroline readily admits that she has no defense against his charms. 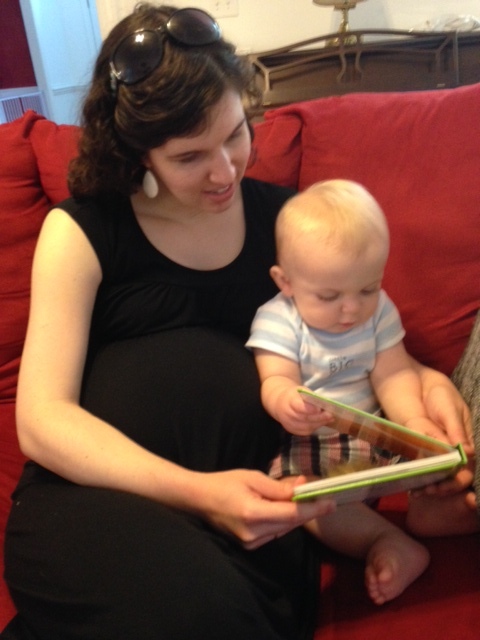 And yet, inasmuch as he is very active, curious, and silly, Silas also enjoys sitting quietly and looking at books. We’ll often look into our playroom and see him sitting in the corner, with books strewn out all around him, his little blonde head facing down, peering into one of his board books. Some of Silas’ other favorite things include eating bananas, wearing his big boy shoes, doing anything outside, and having lots of people around. He is a very social little guy, so he especially loves spending time at my parents’ house when all of his cousins are there running around and playing. However, the person who tops the charts in Silas’ world is his sister. 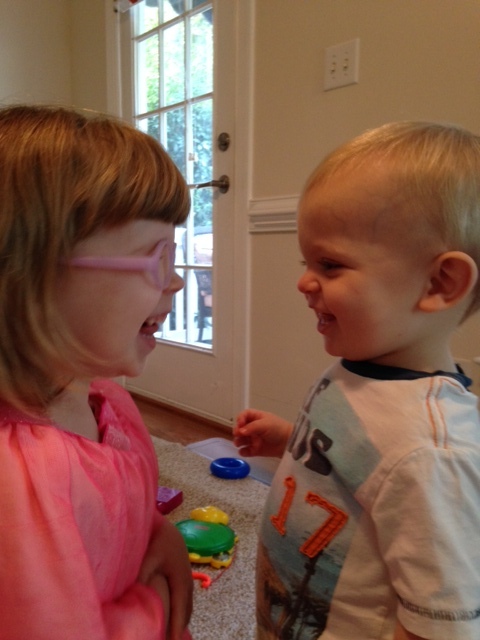 He absolutely loves playing with Lydia, and she is an incredibly sweet big sister to him. Although they have their little spats like all siblings do, it has been such a joy for us to watch them learn to play with each other. She will often start skipping and dancing around the edge of the playroom, and Silas will join the fun by turning in a circle. The only problem is that he makes himself dizzy pretty quickly, so he soon topples over and lets out a huge belly laugh. Makes me want to be a kid again! I was outnumbered by the girls in our family for a few years before Silas’ arrival. He has evened the playing field and added a respectable dose of masculinity with his frequent grunts and fondness for throwing things. We are so grateful for his life and pray that he grows up to be a young man who finds his value and identity as a son of the King. I thought I would take a few posts and introduce our kiddos, since they will be living the missionary life just as much as Caroline and me. I think and wonder often about what their lives will look like growing up in a foreign country. Their experiences will be vastly different from ours as children, and while there will certainly be challenges along the way, we also know that they will grow up with a much more global perspective than most of us had. We are very grateful to God for blessing us with these children, and as I like to tell them, we think they are the “cat’s pajamas”! This sweet girl just turned 4 years old this summer. Lydia is a girl of many talents and passions. 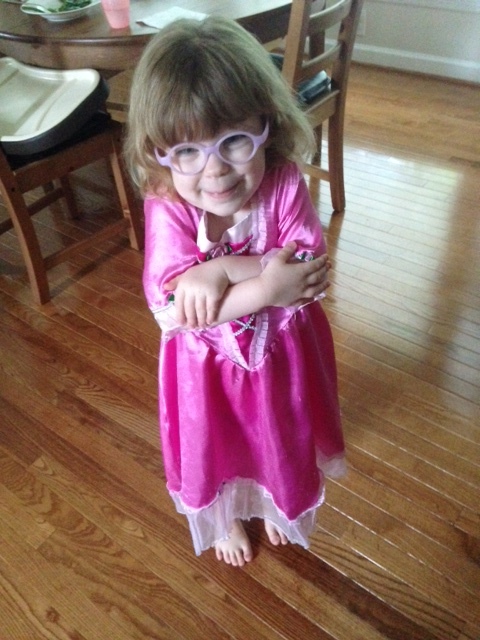 She has a particular affinity for bunnies, fairies, sprinkles, dresses, jewelry, using pretend names (she often prefers to be addressed by multiple other names each day), and yet, as girly as she is, nothing pleases her more than jumping in our playroom and “roughhousing” with Daddy. 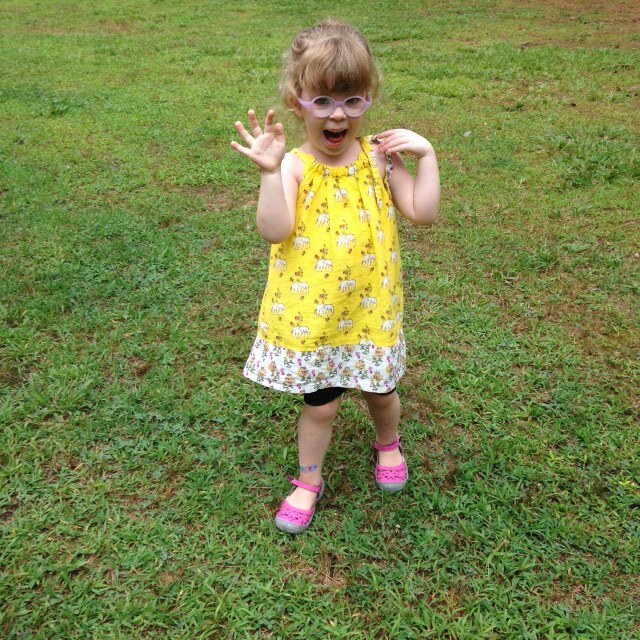 Don’t let the purple glasses and pink shoes fool you, this girl is scrappy when it’s time to wrestle! 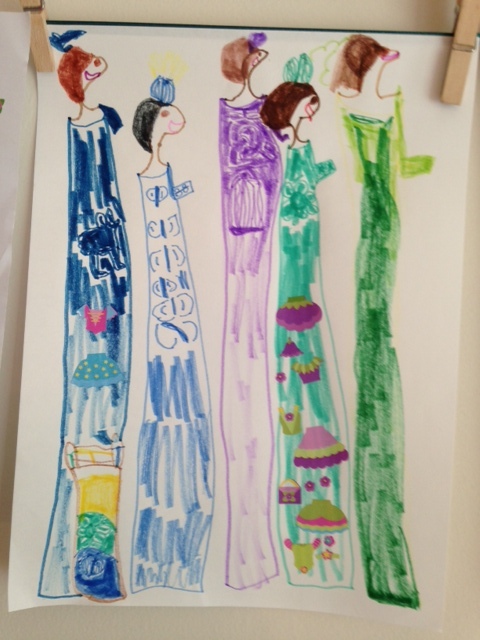 One of Lydia’s specialties, however, is her love and gifting for drawing. 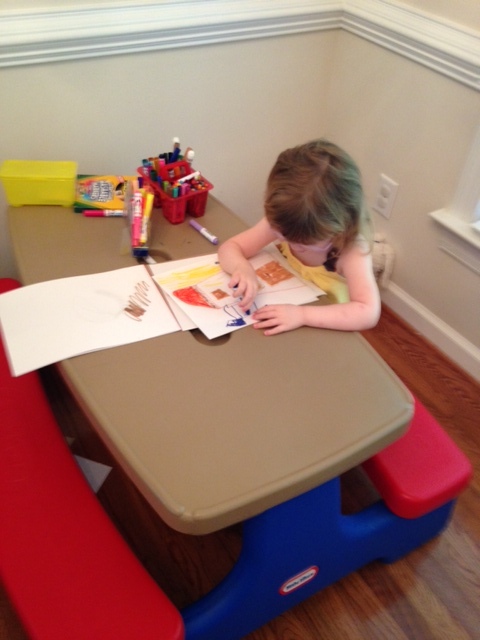 Long ago she grew tired of coloring in the pre-drawn pictures that come in kids’ coloring books. 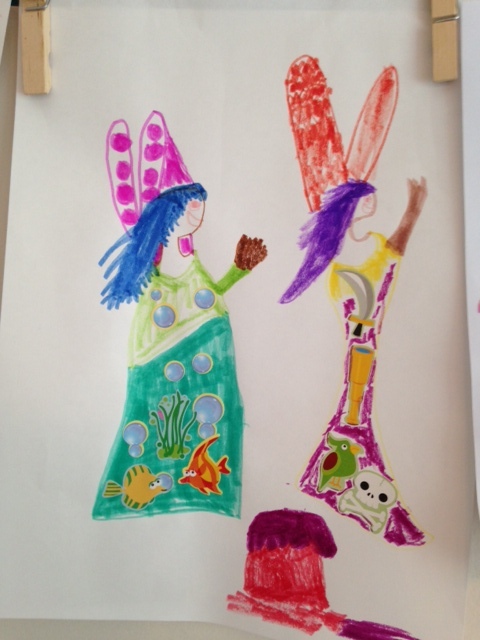 Instead, she loves to freehand draw all sorts of pictures, usually of people. We have been amazed at the perspective she brings to the things she portrays. We have labeled one room in our house the “art room.” This is a place where Lydia is able to keep her coloring materials out on a little table, and she will often spend hours in there drawing and coloring, putting on paper the various ideas that seem to emerge constantly from her imaginative little mind. 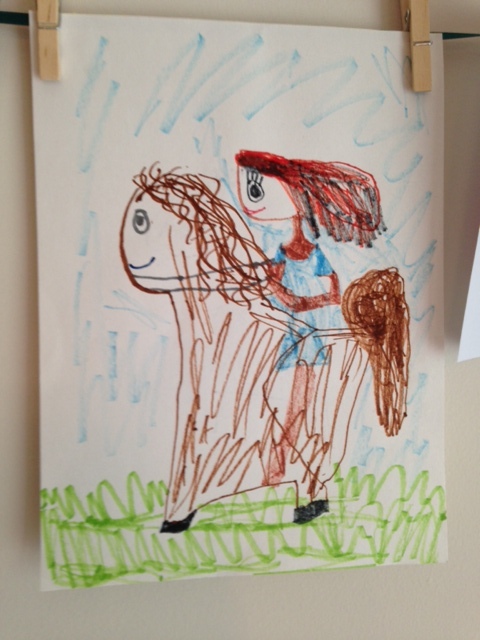 Due to her prolific output of drawings, our house is in no shortage of art for the walls. Below are a few of her most recent creations. 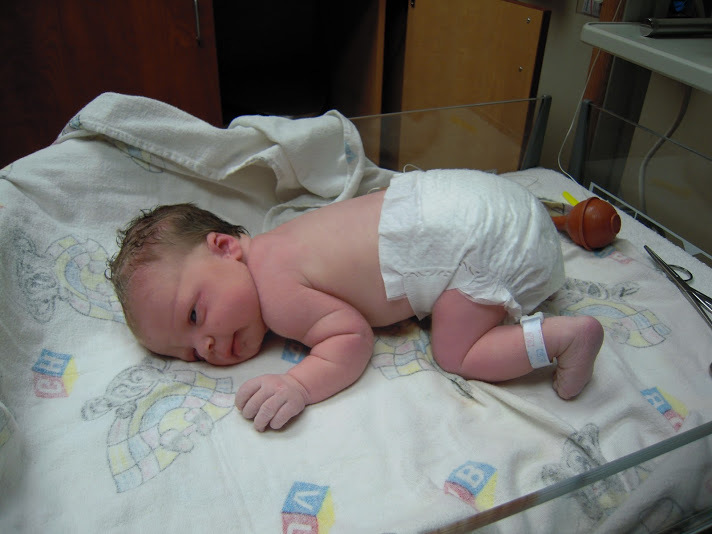 Lydia was our first child, and so of course her arrival really rocked our world as we began this journey of parenting. We can’t imagine what our lives were like before God gave her to us (how boring they must have been!). We are so thankful for her and can’t wait to see the ways that God works in and through her life. Those who have known us for any length of time have probably heard that we have had plans to go to Japan. What is hard to believe is that these plans have been going on for seven years! In the summer of 2007, Caroline and I were in seminary, praying and trying to discern where God might be calling us to serve as missionaries. After considering our interests and sense of gifting as well as the needs on the mission field (see Why Japan? ), we ended up skyping with Michael Oh, founder of Christ Bible Seminary in Nagoya, Japan. Coming out of that conversation, Caroline and I both sensed the Lord calling us to pursue service in Japan. We visited CBS the next summer (2008), but because seminary professors ideally need a terminal degree in their field, we spent the next five years finishing educational preparation for this type of ministry. Four moves, three children, two church positions, two visiting professorships, and one year of transition with missionary application and approval later, here we are! Recalling this brief history reminds me of God’s great faithfulness to us. A lot has happened in seven years, but we’re at a point now where many times along the way I felt like we would never reach: ready to raise a support team and go. Our prayer is that God would enable us to continue to trust Him and His faithfulness as we move forward in this next exciting step.